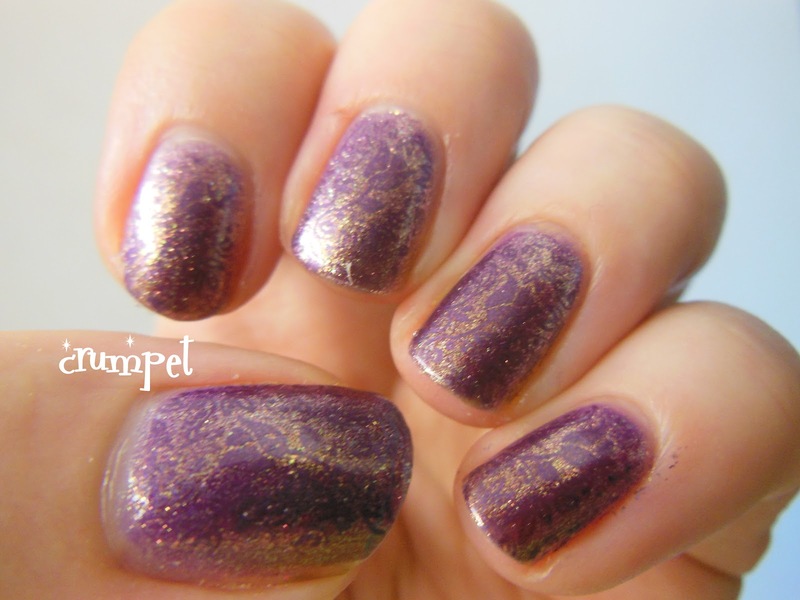 The Crumpet: Zoya Daul - Swatch, Review and Stamp! 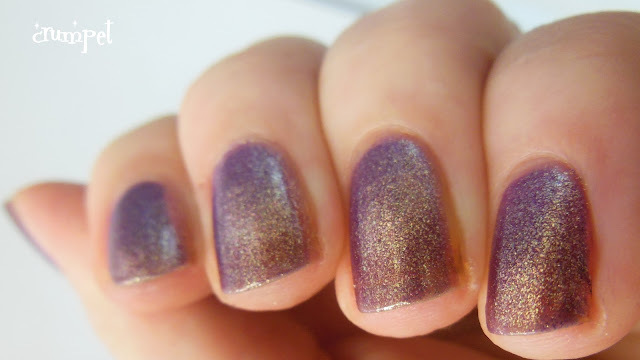 So, in this weekend's post that DIDN'T cause all the drama, I spoke about how unless it was an Indie or a super special polish, I wouldn't be doing pure swatch posts anymore. 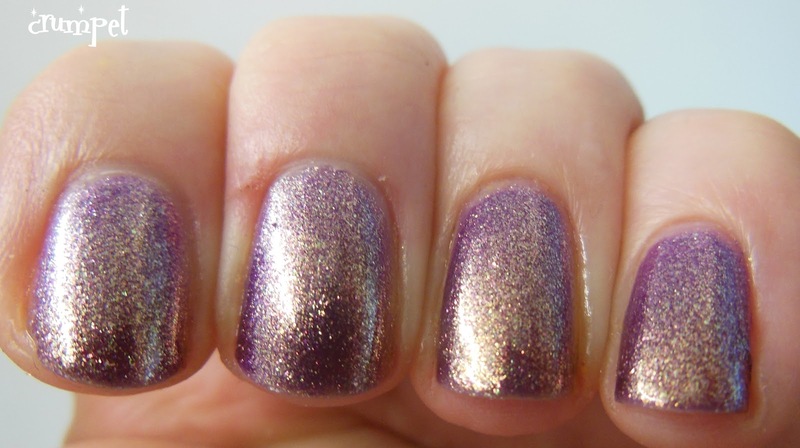 So yes, Zoya Daul from Zoya's Diva Collection. Familiar much? Why, yes, it is ..... super similar to Zoya Faye and OPI It's My Year, this has a delicately coloured base loaded with gold foil which leaves a heavenly fusion on your nails. Unfortunately for me, it's not my thing. 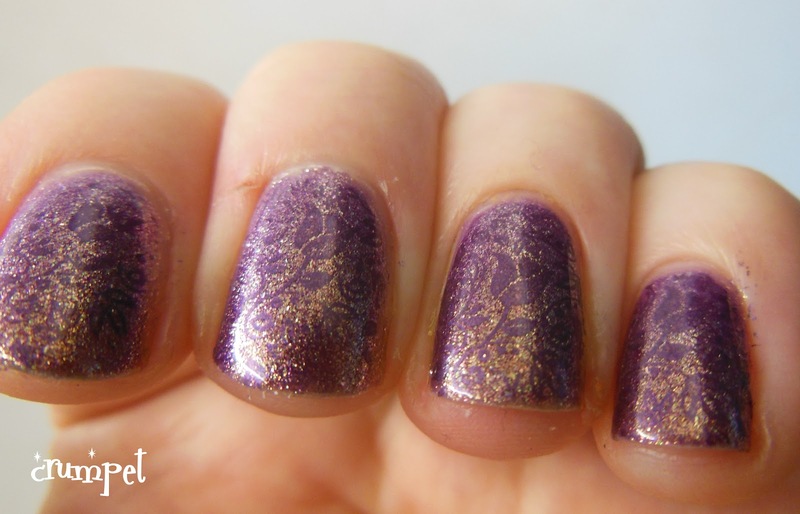 I can completely appreciate it's prettiness, subtlety and possible workwear-ability, but these types of polishes always lean wrong on me. 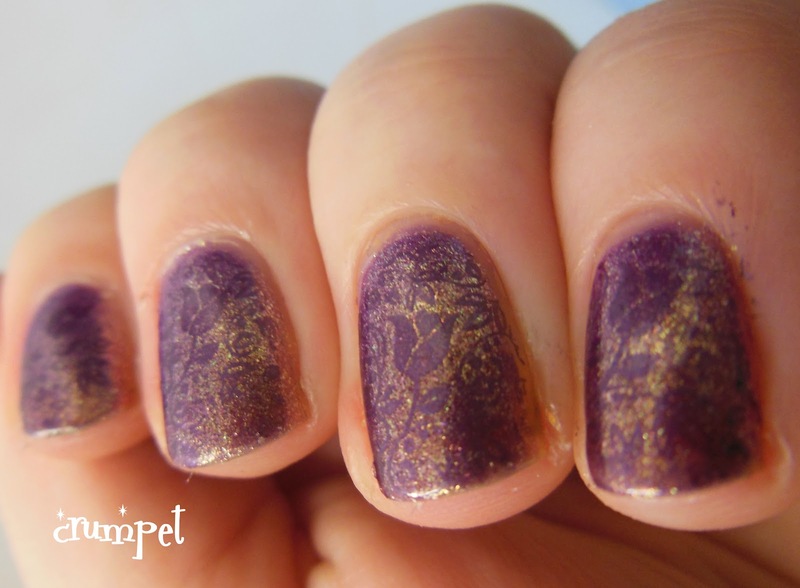 Mainly, I look at my hand, and I see gold, and I do not like gold. On one rare occasion today, in a shady corner of the room, it leaned as purple as it would go, but like a ghost - SNAP - it was gone. So, beautiful yes, Crumpety, no. So, what did my playtime entail? Well, Sally Hansen Purple Bolt and BM-306 - a combination soooo subtle, that not even I can see it clearly! 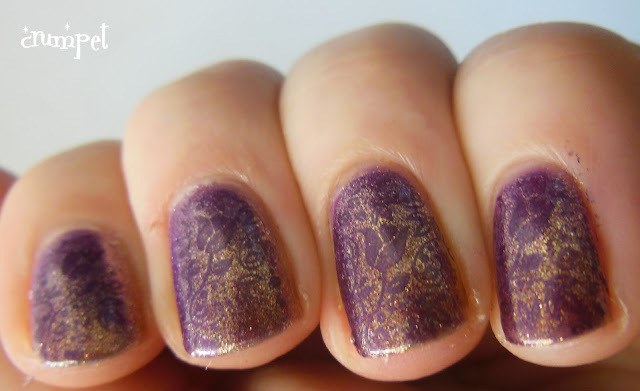 Actually, that's probably the very thing I love about this stamping - it's subtlety. Purple Bolt matches the Daul purple base so perfectly, that unless you're super close up, you cannot tell there has been stamping. 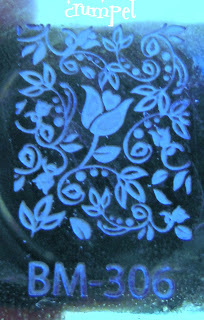 And I love the secrecy of that, I really do, as well the delicate pattern I chose.